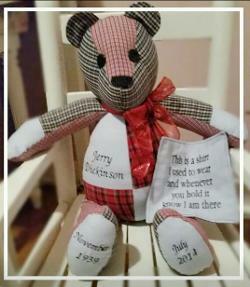 Transform your Baby, Toddler's or Loved One's clothing, into a Personalized Keepsake! Preserving Memories for Future Generations! 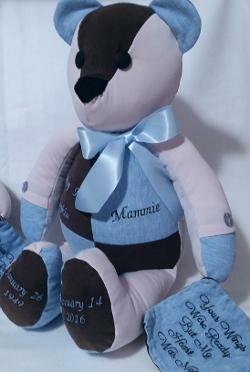 Choose your favorite "keepsake clothing" items which will be transformed into a stuffed animal or pillow. You will need to send me approximately 8 pieces of infant/ baby clothing (or baby blankets), or 6 pieces of toddler (size 4) clothing. 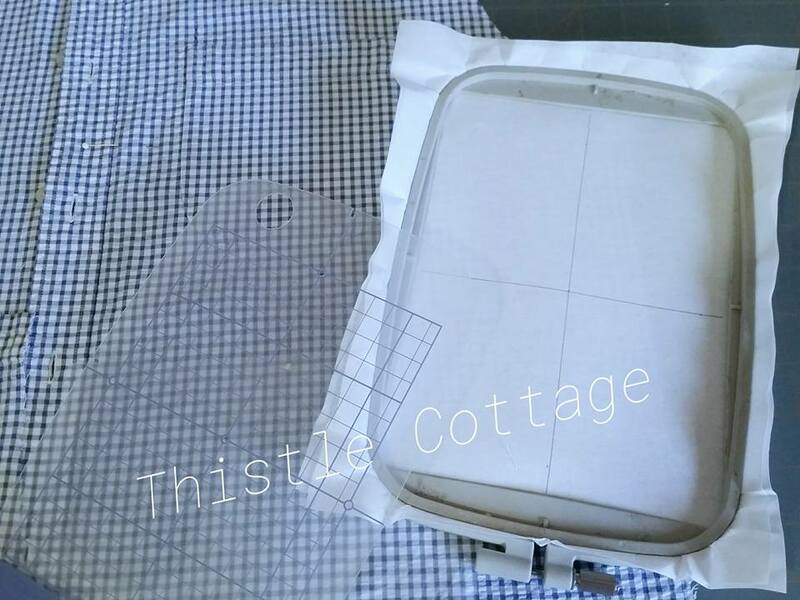 The smaller infant clothing will have a more "patchwork" effect. Small stains around necklines or collars usually will not be an issue - I will work around small stained areas whenever possible! Please make sure to add all shipping charges to your order. Local pick up's will not incur extra shipping charges. Complete the order form below. 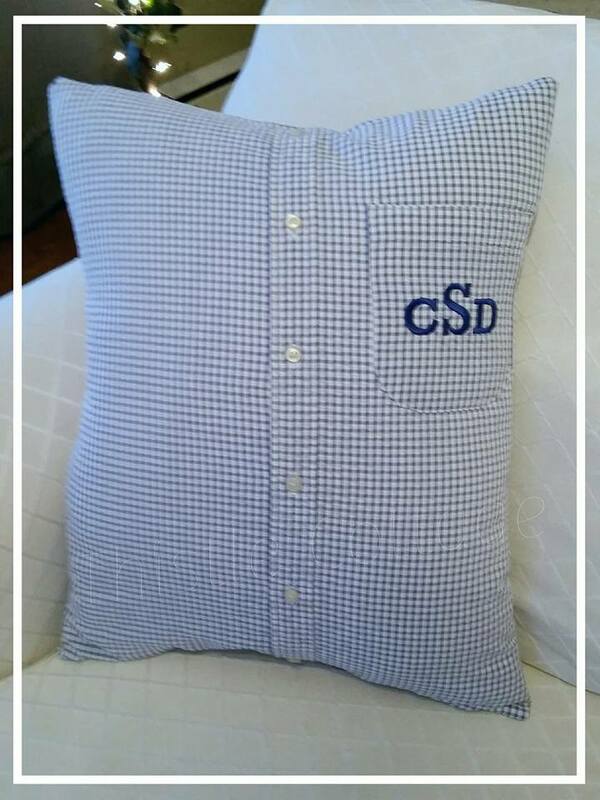 Names, dates etc.. will be embroidered EXACTLY as spelled on the order form. Please make sure all information is accurate, before submitting your order! 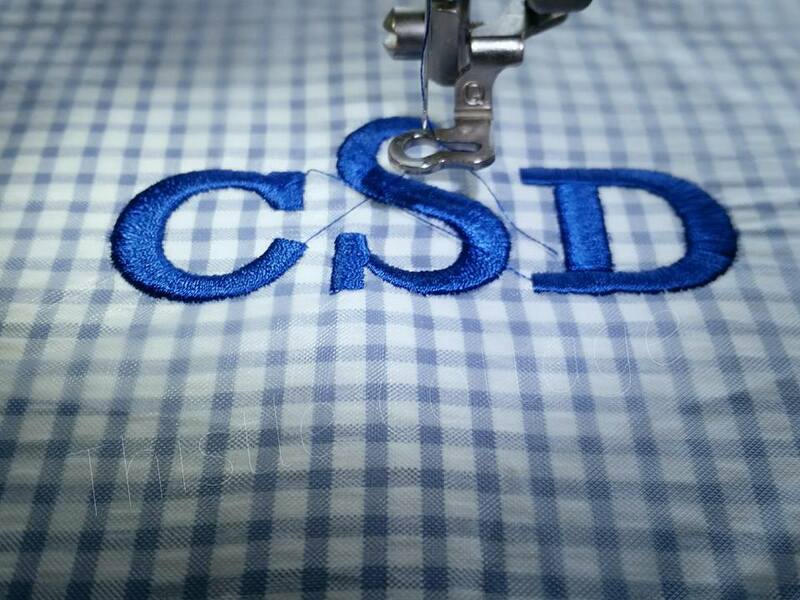 Custom Embroidery Fields that are left blank, will not be embroidered. 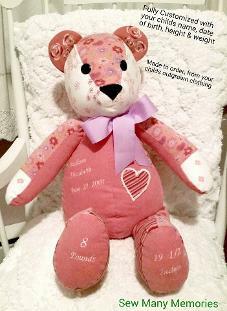 (example: If you do not want the baby's height & weight embroidered on a teddy bear, leave those fields blank, on the order form). Keep an eye on my Face Book Page: Your item's photos will be posted in progress! Allow 3-6 weeks for delivery. You will receive a tracking # and items will be insured through the post office. Follow the instructions to the left (as for a child). If you would like to include the Date of Loss, please make sure to put that on the form below. For adult sized clothing: usually 1 large piece of clothing will work (a favorite dress, or tweed jacket) - However, to get a "patchwork" effect, 3 items are preferred, such as men's coordinating dress shirts.